Suppose your organization understands the reputational and legal risks of unethical conduct — yet, the organization has no strategy to ensure that its employees support ethical conduct. Sure, there is a code of conduct, but that’s not a strategy. Organizations who want their employees to stay at the cutting edge of technology have a strategy to attract and develop such employees. Why is it, then, that organizations do little more than hope that their employees will do the right thing? 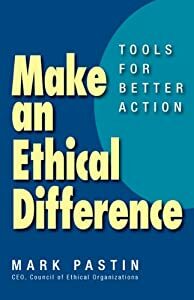 Over the forthcoming series of posts we will explore three ways in which an organization can develop a practical strategy for improving the ethics of an organization.